Indira Gandhi, former Prime Minister of India, passed this information to Bangabandhu, warning him that some elements were trying to stage a coup not only to overthrow his government but also to eliminate him physically. Former Prime Minister Tajuddin Ahmed, who was out of the cabinet because of policy differences with the former, also informed him of the possibility of a military coup against him. Bangabandhu, however, did not listen to these at all because he could never believe that Bengalees could ever think, let alone, conspire to kill him. In philosophy as well as psychology there is a term called “cognitive closure” which in its simplest sense means that decision makers listen only to those information which they are willing to listen and disregard those information which they do not like to listen. To be sure, it is the cognitive limit within which decision makers process information and thus make decisions. Since they are often flooded with a lot of information, they cannot process all those information rationally presented to them. Rather, they accept and process only that information which their human brains and belief systems are willing to consider at the expense of those which are discordant ones. Here belief system, emotion and self-reliance act as formidable restraint or barrier on rational decision making. Bangabandhu Sheikh Mujibur Rahman had unfortunately developed such a cognitive closure in 1975 prior to his tragic killing because emotionally he had developed such a profound faith that he could not believe that any Bengalee could conspire to kill him. History of Bangladesh is full of records pertaining to a series of conspiracies following independence. In fact, since Bangladesh emerged as an independent country, many quarters, which could not reconcile themselves with the birth of independent Bangladesh, started hatching conspiracies against this young republic. The collaborators of the Pakistani army in 1971, i. e., the defeated Rajakars, made conspiracies to undo the independence of Bangladesh. The newly formed Jatio Samajtantraick Dal (Jasad) and various pro-Peking groups made one conspiracy after another to replace the nationalist government of Bangladesh by a so-called socialist government through so-called social revolutions. All these are now known facts and political realities that our historians and political scientists and journalists have been studying these over last four decades. However, none of us could ever think of anybody out there, hatching conspiracies to stage a military coup and physically eliminate Bangabandhu and his family. In fact, any such conspiracy was almost unthinkable and inconceivable. The irony of our history and politics is that this unthinkable took place since some elements in the army propped by foreign powers and helped by their domestic accomplices made a conspiracy to stage a military coup and eliminate Bangabandhu and his immediate and extended families. Their conspiracy was successful, but it was exposed before hand to some quarters, domestic and foreign. Indian intelligence agency, the Research and Analysis Wing (RAW), came to discover this. Indira Gandhi, former Prime Minister of India, passed this information to Bangabandhu, warning him that some elements were trying to stage a coup not only to overthrow his government but also to eliminate him physically. Former Prime Minister Tajuddin Ahmed, who was out of the cabinet because of policy differences with the former, also informed him of the possibility of a military coup against him. Bangabandhu, however, did not listen to these at all because he could never believe that Bengalees could ever think, let alone, conspire to kill him. The moot question is: why could not Bangabandhu believe that some Bengalees were hatching conspiracies to kill him? We can reach some plausible explanations from a study of the psychobiography of Bangabandu who had developed a close bond with his fellow Bengalees because of the unparalleled contribution that he made to create an independent nation for the first time in our tortured history lasting almost two thousand years. Similarly, since Bengalees who fought a glorious liberation struggle and made Bangladesh a reality led Bangabandhu to believe in them profoundly. Since Bangabandhu gave unique leadership to the birth of independent Bangladesh, he came to occupy an exalted position both in our hearts and history. He was called the “Father of the Nation” following our independence. 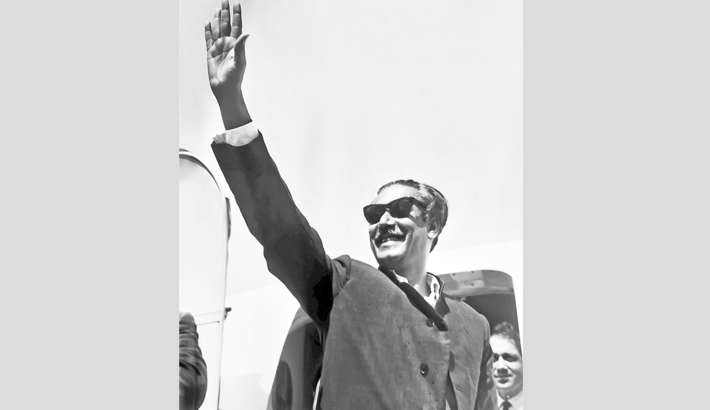 Before independence, he was given the title Bangabandhu (friend of Bengal) in 1969. This explains why whenever he was informed of the conspiracy to kill him, he laughed away. Sometimes, he would say that he could not believe that his people whom he came to treat as children could ever think of killing him. Indeed, his love for and bond with his own people were so much deeply ingrained in his mind that he was not willing to believe, let alone, consider any such eventuality. As told above, Indira Ghandi cautioned him about the coup, but Bangabandhu did not care. Indian RAW Chief R. N. Kao rushed to Dhaka with a mission to inform Bangabandhu personally about the possibility of a military coup. Accordingly, Kao went straight to Bangabhaban and sought an immediate personal meeting with Bangabandhu but Bangabandhu did not have any time for him. Finally, Kao broke protocol and ventured to tell Bangabandhu to give him time for a stroll with him in the Rose Garden of the Bangabhaban. At last, Bangabandh joined Kao in the Rose Garden and talked to him, but still Bangabandhu was not willing to believe what Kao told him. Rather, he said to Kao that those people in the army could never conceive the idea of killing him because they were his children. Since Bangabandhu was the called the father of the nation, it is very likely that he came to regard these army officers as his children. What can explain Bangabandhu’s behavior in this regard? Historians, political scientists, politicians and journalists will debate for centuries about the cause of Bangabandhu’s tragic death. However, it is my understanding that cognitive closure can plausibly explain his behavior because Bangabandhu developed such an emotional attachment with his people that he was not willing to listen to anything other than what he already believed. A Indeed, Bangabandhu developed cognitive closure of believing of what he was willing to believe and not believing in anything that was discordant to his profoundly held belief or worldview about his people. But Bangabandhu’s profound belief and deep emotional commitment to his people were belied and he was tragically killed along with his extended families on 15th August, 1975. Sadly speaking, his love for and bond with his people and absolutist faith in them ultimately proved his undoing. The author teaches at the University of Information Technology and Sciences (UITS), Dhaka.